Pull your head out of the ground! We just debuted this ad at http://WeaselZippers.us tonight. I think it has a little more to say than meets the eye. But fun every which way! 11 Days of Food in the Supply Lines? Presumably, this academic has no related agenda; but in passing he matter of factly states that America has "an 11-day food supply within our massive food chain." Not a shocker, but indeed a clear indicator of our vulnerability to crisis. The author of the article, "High fuel prices hit farmers, food supply hard," is J. Scott Angle of the University of Georgia. He is dean and director of the University of Georgia College of Agricultural and Environmental Sciences. First off ... prayers for those in Japan struggling to overcome! I haven't had much time of late to keep this blog updated. Whew--we have been buried in Safecastle order processing and related business activity ... and I had thought the last few months were crazy in the preparedness biz. Nothing like a bonafide, world-class disaster to stir-up interest in (panic about) self-preservation. Thought I'd better make a little time this morning to update our members and friends about our little slice of reality. Needless to say, preparedness is moving front and center around the globe these days for a majority of folks with a job and reason to live. Things just keep getting more volatile and increasingly likely that more doom is around the corner. (Can you find five people in your circle of friends who would disagree?) You pick the brand and flavor of risk ... no matter what you choose to focus on, eventual probabilities could make prophets out of all of us. 1. Do we have Potassium Iodide? Edit, April 9: Yes, we now have Potassium Iodide in stock. Sorry--no, we sold out a while back. It's very tough to get a reliable supply now, obviously, at a reasonable price. Best bet might be your local pharmacy. Many of you have older stocks on hand. Even if past the expiration date, your pills should be stable and effective if they have been kept sealed and stored well. If the tablets are yellowed when you open them, that would be a sign that they have become unstable. That said, at this point--U.S. residents are not presently at risk from the Japanese fallout. 2. Gas masks, radiation detectors? 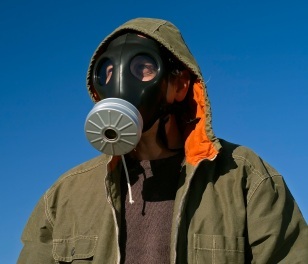 Yes--we have Venus gas masks, NP8000 filters, and K8 personal radiation detectors on hand, in dwindling supplies. 3. What's the situation on Mountain House freeze dried food? Mountain House recently closed off new orders for the MH canned foods. They also have temporarily discontinued some pouch food varieties ... all in an effort to work through a glut of backorders that built up over the last several months, from all over North America. Those who have orders in are waiting for their orders to be completely filled. And MH is working to greatly expand their production capacity. They already are the world's number one freeze dried food producer. MH quality and dependability have built an unsurpassed reputation that more and more folks are counting on. We understand we will likely be able to relist MH cans in another month or two. Stand ready on that because the pent-up demand will be overwhelming again, even though at that point they will have finally gotten back to an equilibrium in being able to respond in a timely manner to new orders. We'll hope that MH/OFD will be ready for that next wave of panic buying. 4. What about other food brands? We continue to offer excellent emergency food storage options in many different food options: Yoders, Honeyville Grains, American Family Supply, Grandma's Country, Bega, Red Feather, Future Essentials, and more. We've been approached by a few other newer brands (and older brands with troubling histories) aiming to take advantage of the void left at present by the MH situation. We've had some experience with some of them and done research on others. We have reason to be concerned about the brands out there that we have chosen not to sell. If you are buying other brands--do your due diligence. Well, obviously, business is unbelievable at Safecastle. For the last 8 months or so, we have been dealing with ever increasing order volume. And we thought we were near capacity previous to that. It's kind of surprising to learn how far you can extend one's endurance and energy when necessary. We're doing our utmost to deal with the needs of our club members and customers. Supply lines are extremely stressed in many areas. But every one of our suppliers are working overtime to react to the demand. 6. Is it the government that's buying up everything? This is a popular one. It always seems to be a popular conspiracy theory to float at times like this. In this case--the answer is no. This is 100% about civilian consumer demand exploding within the last year. More specifically, what we are seeing is a surge of new buyers coming into preparedness who are very anxious to spend LARGE amounts of money to get crisis-ready immediately. It seems the economy was an initial trigger and now we have global unrest and natural disasters feeding the beast. Fear and anxiety are roiling the populace. I suppose there has always been some element of that in play for whatever reason, but right now the contagion is spreading rapidly through middle and upper income levels in America (and elsewhere of course). A loaded question if ever there was one. The big picture, from where I sit ... America and most of the world seem to be well down the slippery slope of chaos and ruin. I really had hoped this was not going to play out like this so soon. Nonetheless, our job is to help folks deal with it, so Safecastle is about to expand our capacity and reach. More on that in the future. Most of our suppliers too are recognizing the increasing need and they are doing similar things to be able to better respond. Of course, there are some conditions that are beyond control. Most significantly--material and food sourcing quantity and prices are a concern. Then there is always the potential for supply transport lines to be suddenly cut by natural or man-made circumstance. So while we deal in the increasing need for personal and corporate preparedness, there WILL come a time when some of those conduits get closed off (look at Mountain House already). There are actually more questions about the future than answers. We can only do what we can do to anticipate and prepare. Labels: Crystal ball, Cultural realities, How to be ready, Safecastle sales, Why prepare?